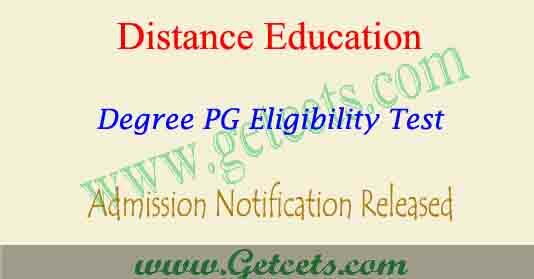 KU distance degree notification 2019-2020 sdlce eligibility test : School of Distance Learning and Continuing Education, Kakatiya University, Warangal, invites applications for admission to the following UG, PG courses for the academic year 2018-19 under year-wise examination system. Candidates should take their seats at least five minutes before the distribution of the papers. Those coming half-an-hour after the given time will not be admitted. The candidates is prohibited from bringing any forbidden material in to the examination hall. He/She prohibited from either covering or communicating in any form with others in the examination hall owing the examination. Preserve the Hall Ticket till admission. 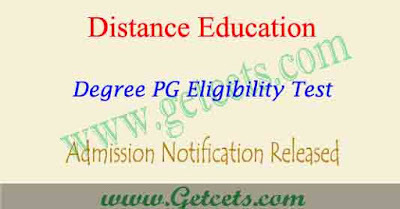 Last date for admission UG/PG programmes: 15th February 2019. Last date with late fee of Rs. 200/- : 16-02-2019 to 22-02-2019. Last date with fee of Rs.500/- : 23-02-2019 to 28-02-2019.